Stores well. 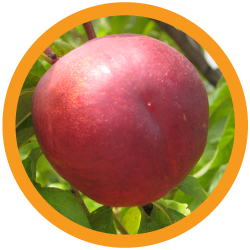 Very attractive nectarine with excellent handling and eating qualities. Semiuptight tree with broad leaves which should also be suitable for high density plantings. ** = Data obtained at Bien Donné, Groot Drakenstein, Western Cape and is not necessarily representative of other areas.